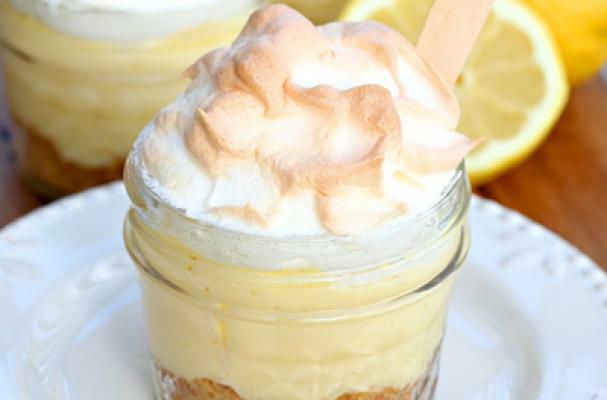 These lemon meringue pies in a jar from Let's Dish are the perfect Easter dessert. While not a traditional lemon meringue pie, this recipe is delicious in its own right. The crust is made from graham cracker crumbs instead of pastry which makes it easier on the baker. Also, the pie filling is more similar to a custard than a curd. It is important to use fresh lemon juice for this recipe so the flavor is bright and true. The traditional fluffy white meringue tops the individual pies. This quick and easy dessert comes together in just a few minutes.